Receive four 30 minute sessions for $100 by Michael Ankrom, Licensed Massage Therapist. Expires 01/31/2019. 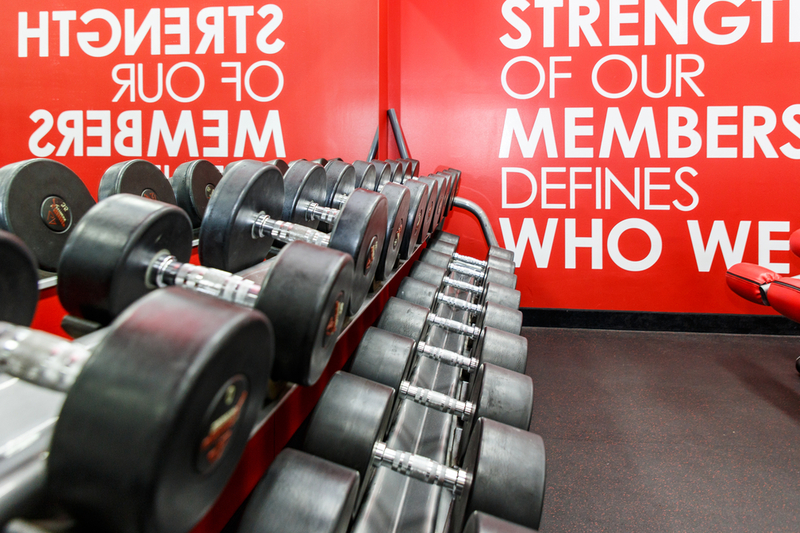 Come try us out and find out why Snap Fitness is the right gym for you. No strings attached. No commitment necessary. Expires 01/31/2019. Receive 12 sessions for $144.00! Expires 01/31/2019. Stephen Isabella earned his Bachelor's degree in Sports Performance with a minor in Athletic Coaching from Kent State University. He has his personal training certification through National Academy of Sports Medicine (NASM). He also holds his CPR, AED & First Aid certification. Stephen graduated from Madison High School in 2010 and participated in football and track. His specialty is working with athletes for strength and conditioning to help develop them to reach their goals. He is actively the linebacker coach, as well as JV football defensive coordinator at NDCL High School, where he helps develop student athletes. Stephen trained the boys soccer and girls cheerleading teams this summer for Madison High School, focusing on strength and balance for the season. He is ready to help support you in your new fitness journey! Alvin’s training philosophy is simple. “I know that I cannot lead where I will not go." This means, he practices what he preaches. Whether you just want to lose a few pounds, or get ready for a 10K, Alvin understands what it takes to be successful. 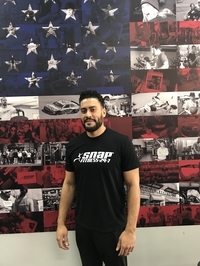 He has competed and coached in competitive power-lifting, which is what helped him discover his passion for fitness, and his talent to assist others in their fitness journey. Alvin is a certified personal trainer through the National Academy of Sports Medicine (NASM). Alvin is also Red Cross First Aid, CPR and AED certified. He is an expert at tailoring training programs to fit the unique needs of his clients. His goal is to help everyone get the most out of their bodies and have fun while doing it. Whether you are busy and unable to make it to the gym everyday, or fitness is the main focus of your life, Alvin will create a program that you enjoy and gets you great results. 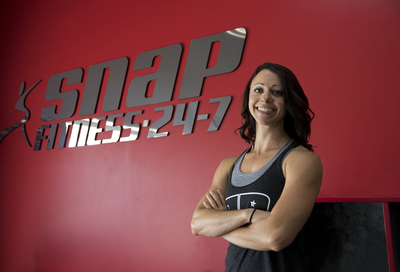 Angela DeMichele is the proud Owner and Operator of Snap Fitness in Madison, OH. She graduated from Miami University with a Bachelor of Science degree in Social Work. She became a Licensed Social Worker, specializing in Early Childhood Mental Health. She received her Master’s degree from Capella University for Early Childhood Education. Angela made the decision to leave her career as a social worker and become the Franchise Owner and Operator of Snap Fitness in 2017. Angela became a certified Kidding Around Yoga teacher to support and foster the sense of mindfulness and peace in families and youth within Northeast Ohio. She teaches Preschool Yoga, Family Yoga and Goat Yoga all over Ashtabula, Lake and Geauga County. She is completing her certified personal training certification through NASM. She is also the co-founder and instructor of Boozy Yogalates, which is a Yoga Pilates fusion workout instructed at local wineries and breweries. Pietro DeMichele graduated from Mercyhurst College with a B.S. in Sports Medicine. He is licensed in the state of Ohio for Athletic Training. For ten years he has worked as an Athletic Trainer at a local high school, orthopedic clinic, and physical therapy clinic. He has over ten years of coaching experience with high school and collegiate athletes. 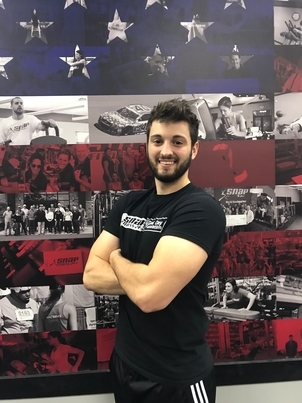 As a coach and trainer, the sports Pietro has been involved with include basketball, soccer, volleyball, football, wrestling, baseball, softball, tennis, and track. Pietro is proud to say he was on staff as a coach for the NDCL High School Girls Basketball team during their 2017 District Runner Ups in the Division II State Tournament. He was also a part of the 2014 NDCL High School Boys Soccer team's District Semifinal appearance. The athletes he has been involved with have gone on to play for more than 15 different Universities & Colleges. Michael earned his Personal Training Certification from International Sports Science Association (ISSA). He is also Certified in CPR/AED and First Aid. Michael is licensed in the State of Ohio in Massage Therapy, as well as graduated from Northcoast Medical Training Academy. Michael grew up as an athlete and a love of training which brought him to his love of muscles and trying to make everyone around him better. He believes with his knowledge and understanding of the human body and body movements he can help anyone who is willing. Michael is a firm believer in practice what you preach. He believes you should always try to make yourself better than you were yesterday. 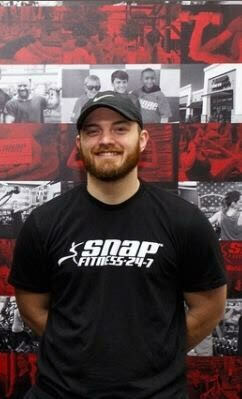 Michael is offering one-on-one personal training, semi-private training, and sports massage therapy at our location. Important message: Due to community engagements and trainings, there will be some adjustments to staffed hours in April. Please be sure to check our staffed hours and make an appointment so we can service you best! 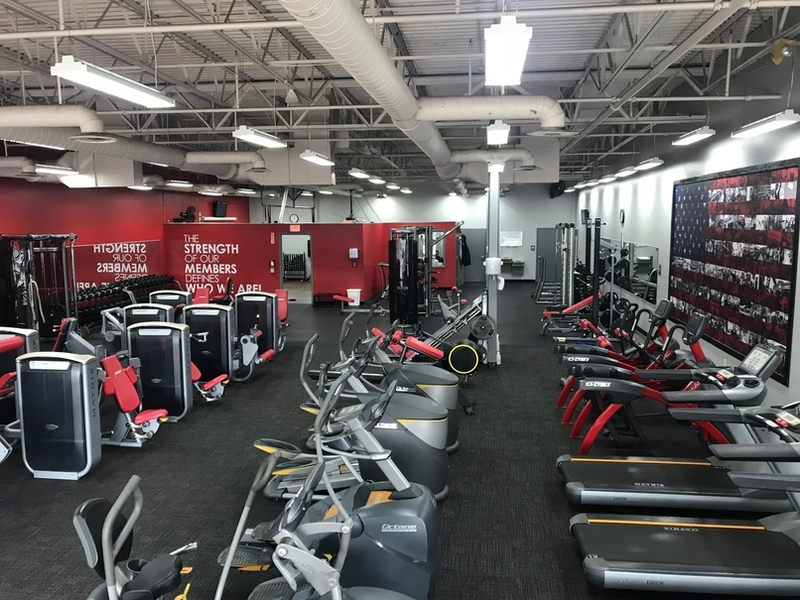 Snap Fitness Madison is independently and locally owned and operated. Our mission is to provide an affordable, high-quality workout solution, along with tools and support needed to get you results. Our cornerstones include community, safety, cleanliness, professionalism, and high-quality services for a results-driven culture. 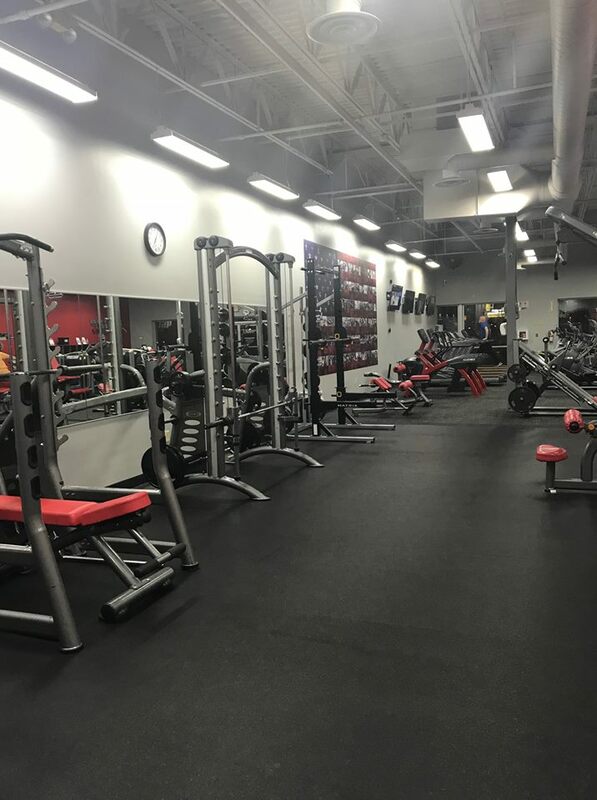 We offer 24/7 access that includes free weights, cardio equipment, strength training, MYZONE, personal training, group classes, sports performance training, pre and post-injury work from an Athletic Trainer, as well as sports massage therapy from a Licensed Massage Therapist. Members also have access to over 2,000 locations worldwide. 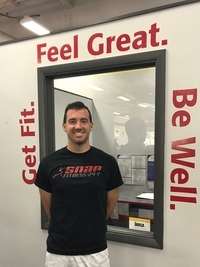 Why Snap Fitness? We are the only gym in town with enhanced fitness technology. We have wearable heart rate monitors that track your effort with 99.4% accuracy. With the highest accuracy available outside of an EKG machine, you can be sure that your readings are flawless! This technology keeps you in your optimal heart rate for burning fat. We are not just another gym. We are a Club to get you life changing results! The strength of our members defines who we are! From fitness and nutrition to stress reduction and creating an atmosphere to build lasting relationships - Our members and their health are our top priorities. Stop in and let our team help you discover the healthiest version of yourself! We can’t wait to meet you!